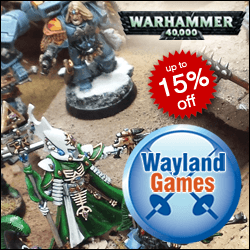 The Stormfang Gunship famously took down Magnus in the first ever Warhammer Live Twitch in December 2016. 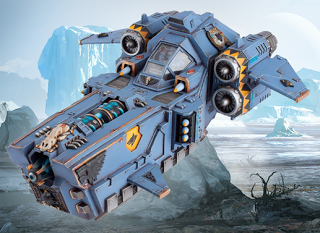 Designed to dominate the skies like the dread Ice Wyrms of Fenris, the Stormfang Gunship is a new Heavy Support choice for the Space Wolves army, combining a small transport capacity with heavy weaponry and the unique prow mounted Helfrost Destructor, which fires an icy beam that freezes all it touches. Not to be confused with the Stormwolf dedicated transport, which is made from the same plastic kit, the Stormfang is basically a gunship with a minimal transport capacity. So it’s biggest selling point is the Helfrost Destructor. How good is the Helfrost Destructor? The problem here is the Helfrost rule. A wounded model must roll under their Strength or be removed from play. Unfortunately, there aren’t that many units in the game with multiple wounds that can be dealt with by massed fire. Ideally we’d want to “Freeze” Monstrous Creatures. But unfortunately their Strength tends to be very high, so the likelihood of removing them from play does not justify the cost of the Helfrost weaponry. This makes the Helfrost Destructor on the very expensive Stormfang an exotic weapon which doesn’t really serve a purpose that more conventional weapons do not already excel at. 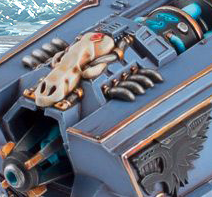 The Stormfang also comes with 2 twin-linked Heavy Bolters and 2 Stormstrike Missiles. Melta weapons do not roll an extra dice to penetrate the Stormfang’s armour at half range or less. Two Twin-Linked Multi-Meltas: Replace the default twin-linked Heavy Bolters with these, but they seem an expensive upgrade. Twin-Linked Lascannon: A good choice to replace the 2 Stormstrike Missiles, but seems an expensive upgrade. Simply put, don’t take it! The Stormfang costs almost as much as a Land Raider, it’s transport capacity is rubbish and infantry can only disembark from the rear. 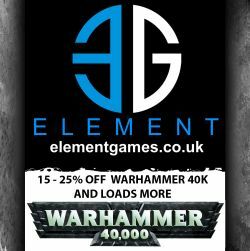 You’ll need to spend at least +20pts in upgrading its weapons and you could buy a Land Raider Redeemer for that much. The Destructor Cannon alone does not make this a good choice. And when there’s so much competition for those Heavy Support slots in your Force Organisation chart, there are much better choices. Thankfully, the Stormwolf is a superior flyer if you’re looking for some air support for your Space Wolves.